This statistic shows the responses to a survey about mobile apps in Canada in 2014, and includes a forecast until 2019. 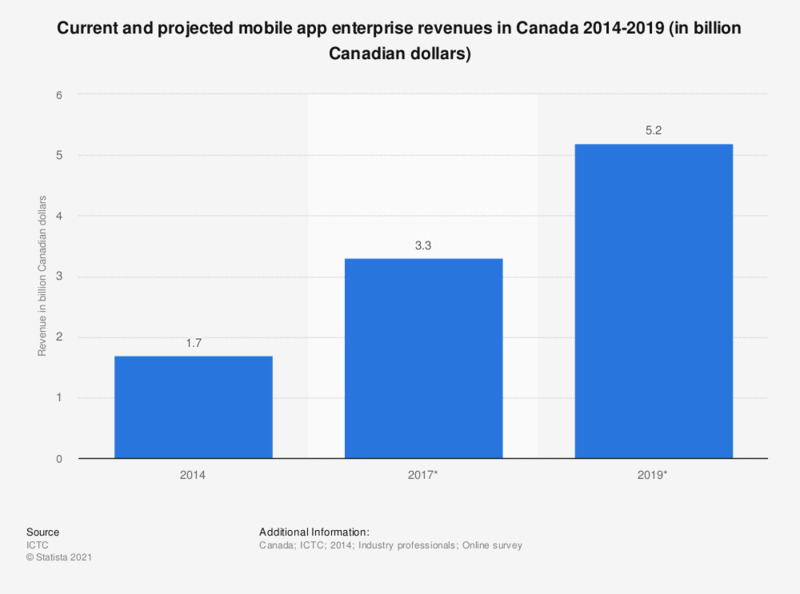 In 2014, mobile app enterprise revenues were 1.7 billion Canadian dollars. Furthermore, the survey projects mobile app enterprise revenues to increase to 3.3 billion Canadian dollars in 2017.